By Melissa Lennig on November 19, 2016 Leave a Comment. This content contains affiliate links. As an Amazon Associate I earn from qualifying purchases. 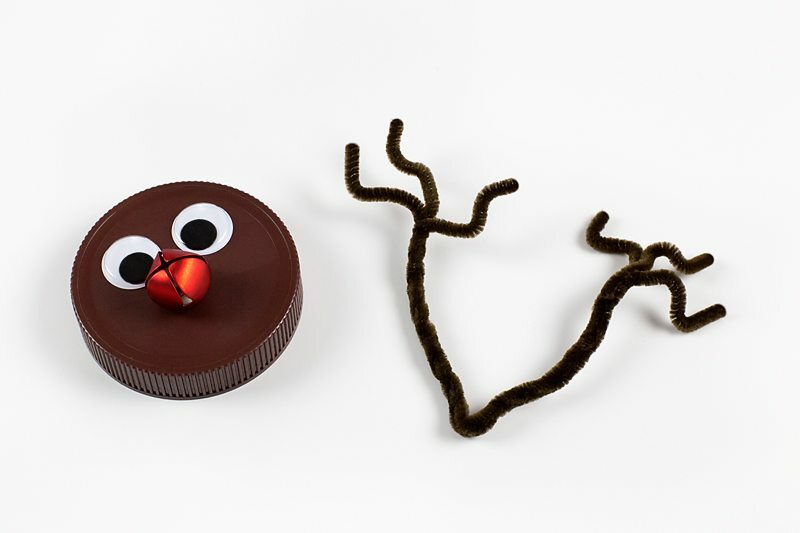 In this post, learn how to turn old jar lids into adorable upcycled Jar Lid Reindeer Ornaments. 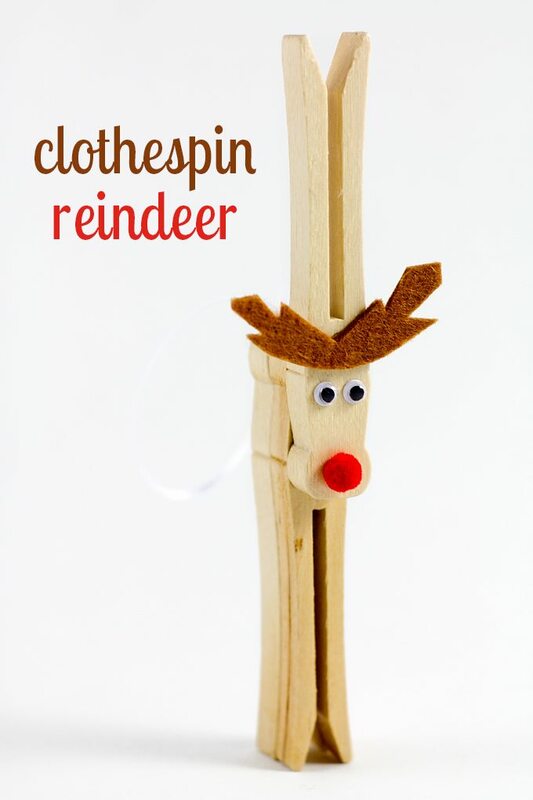 Such a fun Christmas craft for kids! 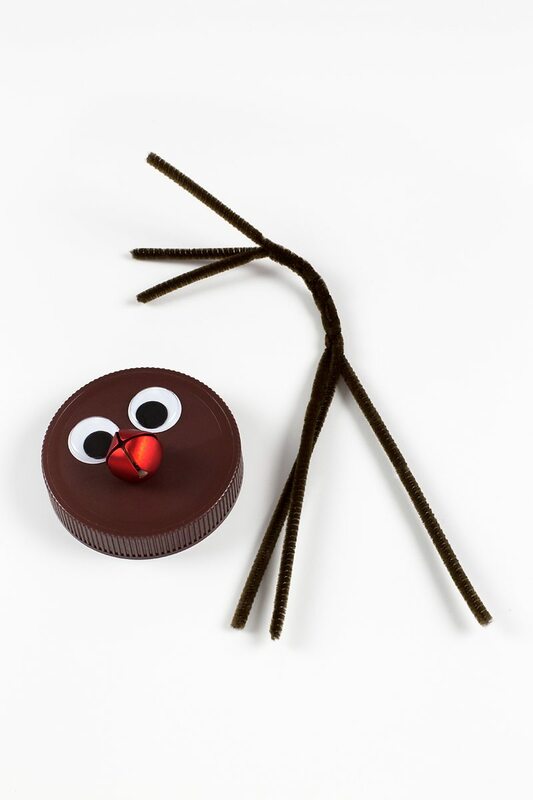 Kids of all ages will enjoy using old jar lids to create festive Reindeer Ornaments. We used jar lids from our favorite peanut butter, but you could also use mason jar lids, jelly lids, or even wood slices. 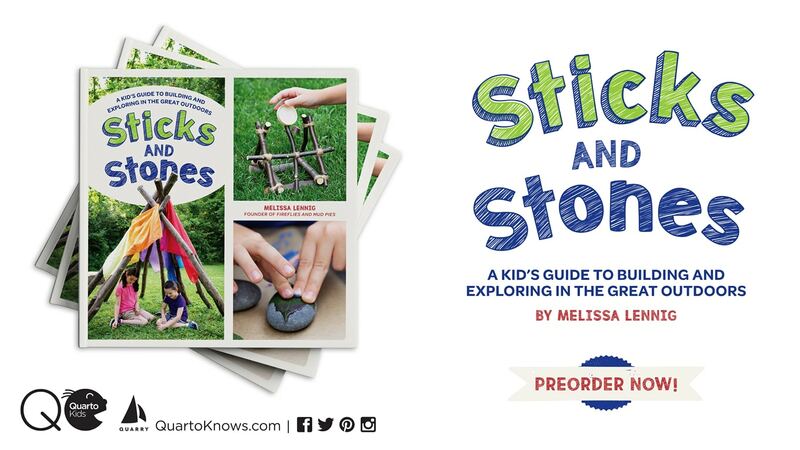 This cute craft is suitable for home, school, senior living, or daycare settings. After gathering supplies, use a cotton ball saturated with nail polish remover to remove the expiration date from the top of your jar lid. Of course this step is completely optional…but it does make the ornament look nicer! 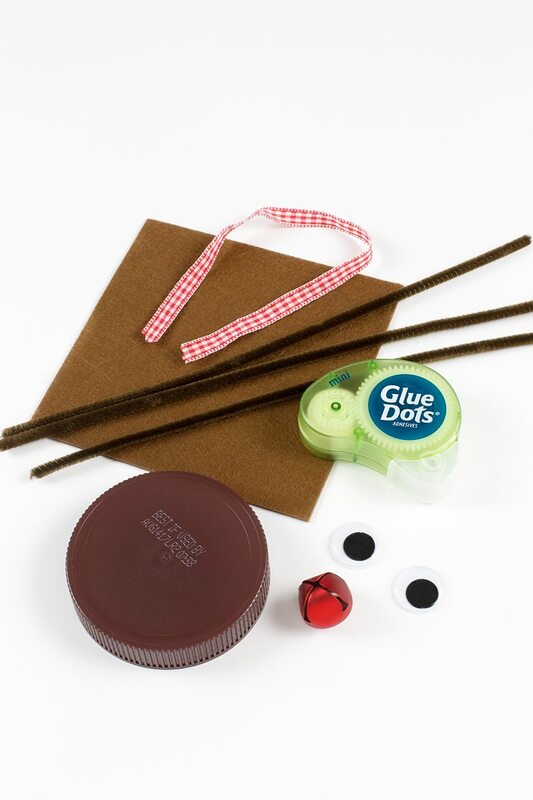 Secure the wiggly eyes and the red bell to the top of the jar lid with Glue Dots or hot glue. Next, braid 3 brown pipe cleaners together, leaving the ends unbraided. 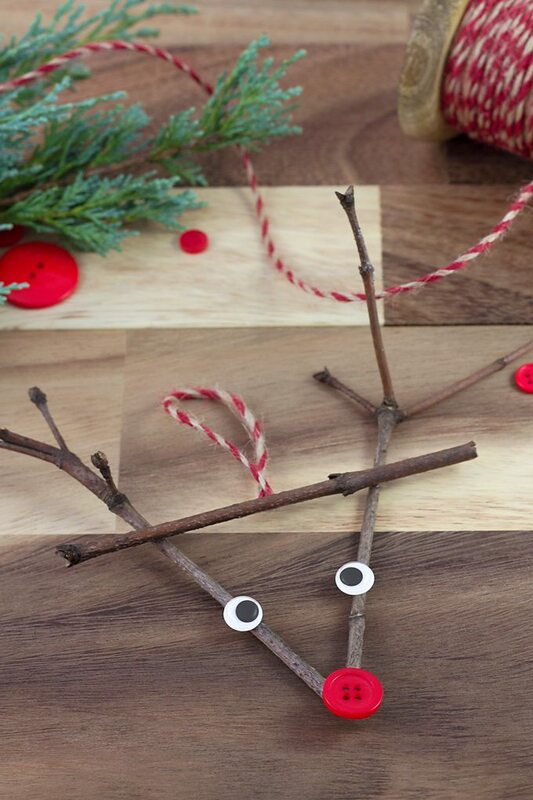 Bend the ends of the pipe cleaners in different directions, then fold the braided pipe cleaners into a “v” shape to create antlers for the reindeer ornament. 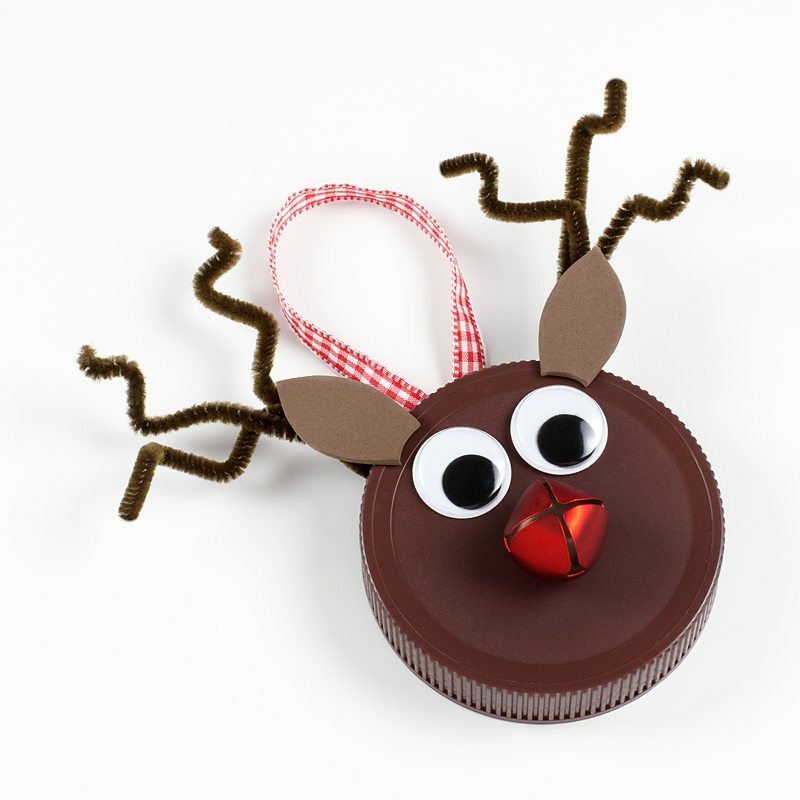 Secure the antlers to the back of the ornament with Glue Dots or hot glue. Cut 2 small ears from the brown felt or craft foam. 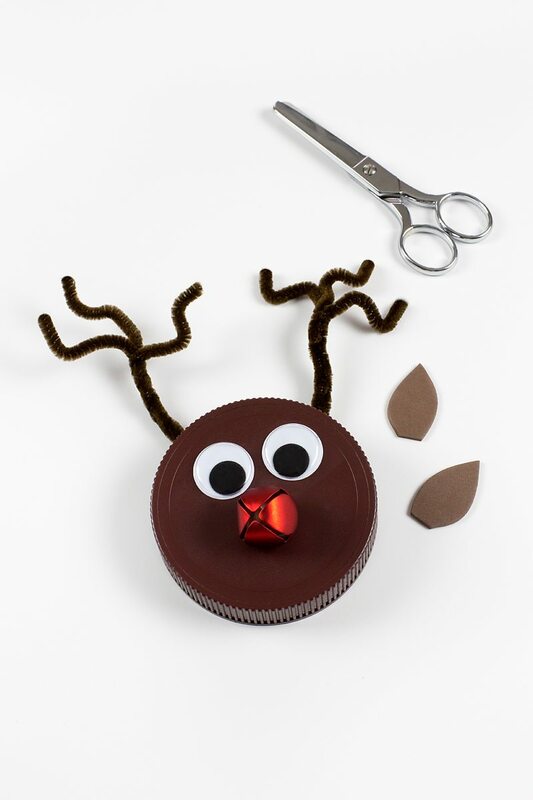 Use Glue Dots or hot glue to attach the ears to the ornament, placing them in front of the antlers. 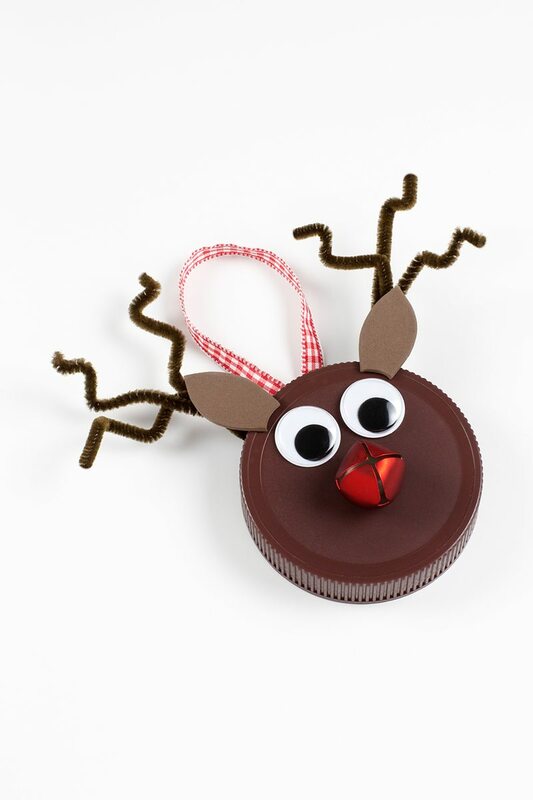 Last, cut a small loop of holiday ribbon and secure it to the back of the ornament with Glue Dots or hot glue. Hang and enjoy! 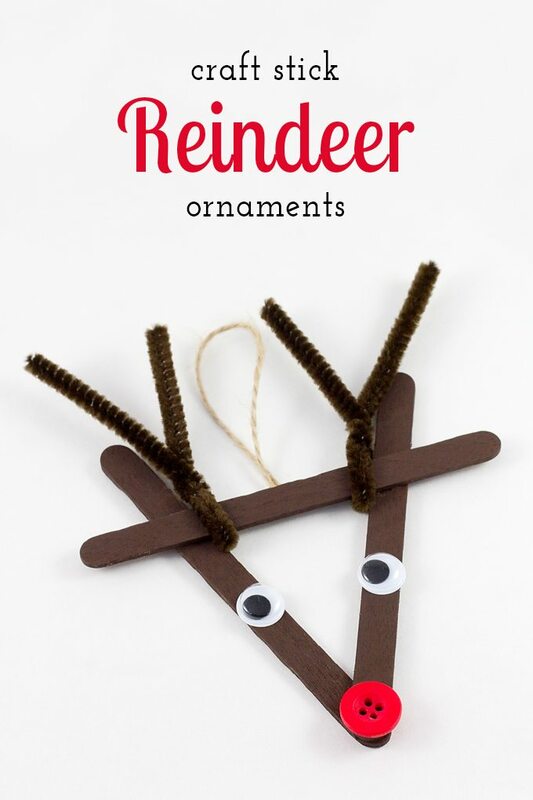 Click the images below to view more classic reindeer ornaments for kids!